Today I made a tutorial for the chibitronics blog on how to make this card twinkle with lights. I used the Chibitronics effect stickers, they are super fun! 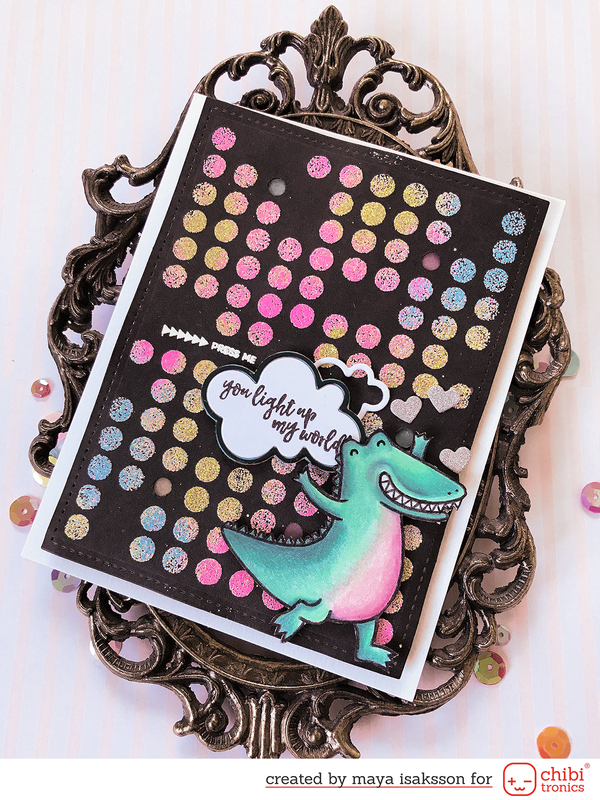 If you want to see how I made it, hop on over to this blog post and you can see the inside of the card and learn how to make one by yourself. I absolutely love this happy crocodile, he is so adorable. 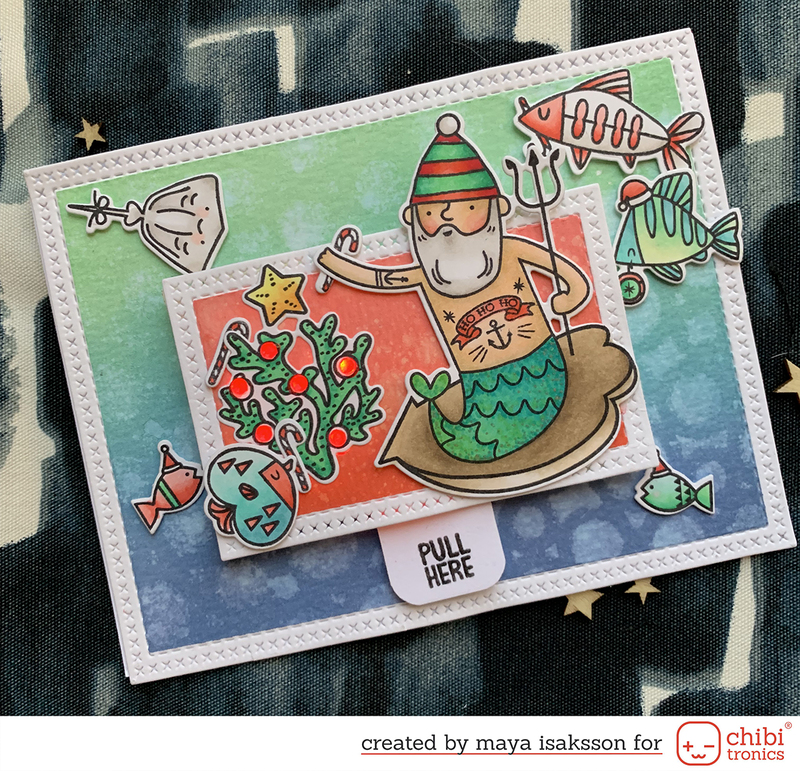 He's from Heffy Doodle stamps, who also made the tiny press here stamp from a set that is perfect for interactive cards. I also used some of the opaque embossing powders by WOW to make the background, they look almost fluorescent against the black background. The dotted stamp is by Dylusions/Ranger ink. I hope you are having a wonderful weekend. I think I will spend the day in the sofa, listening to a good audiobook and knitting. I think that would be an excellent way to spend the afternoon. Or should I go craft something? I really can't decide. Weekends with no plans are my favourite thing!